This is the second release in this brilliant and legendary game series by Rockstar Games. 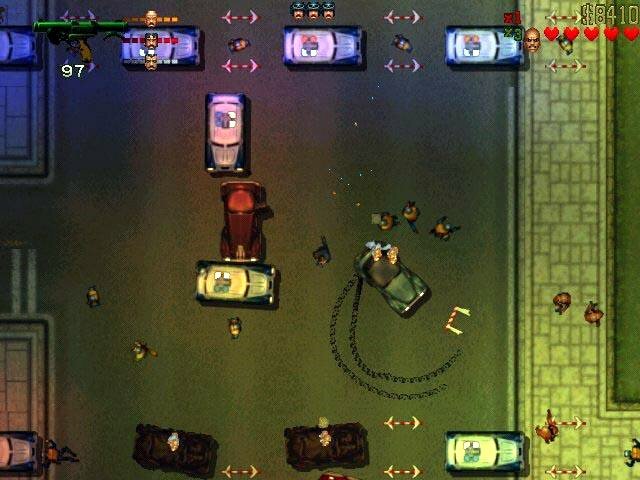 When Grand Theft Auto 2 first came out it was a massive improvement over the first Grand Theft Auto. The basic idea behind the game didn't change at all but the gameplay and graphics were both vastly improved. There are 2 ways of playing this game. The first is to attempt to complete all the different missions, some of which are really hard. The second is to drive around the city doing what you want. This could include shooting people, destroying cars, stealing cars or even just some really reckless driving. If you decide to do the missions, there are plenty of places you can get them from. The main places are from the gangs that work in the city. As you do more missions for a gang, they will respect you more and more. This means that their rival gangs will dislike you. Each gang owns a certain area of the city, so you will need to be careful when entering enemy territories. There are other places to get missions from. These include, ringing public phones, certain parked cars that you try and steal, and a few other places. Just like when the first Grand Theft Auto became free, you will need to signup in order to download this game. They have also improved this version to run better on newer PC's. It's better than the original in the means of graphics and actual game play, but it has a few very BAD flaws. One is not being able to save your game when ever you wish. That's PLAIN just stupid if you ask me. You get ONE place on each level to save and then it costs $50,000 each time. WOW! What the heck were they thinking? The 2nd flaw is, the game is played at an aerial view which is not only hard on the eyes, but makes it very hard to find anything unless you have a map, then its still a pain in the rear. It's like walking around in a never ending maze. 3rd and last is the phones used to do the gang jobs. Some of the phones are VERY hard to find. You will end up running into DEAD ENDS more than anything and this can be very frustrating and will make you just want to quit! It's FREE so it's alright to mess around with but it surely will not win any awards! This game has no weaknesses what so ever. This game combines some key elements to make it such a huge success. 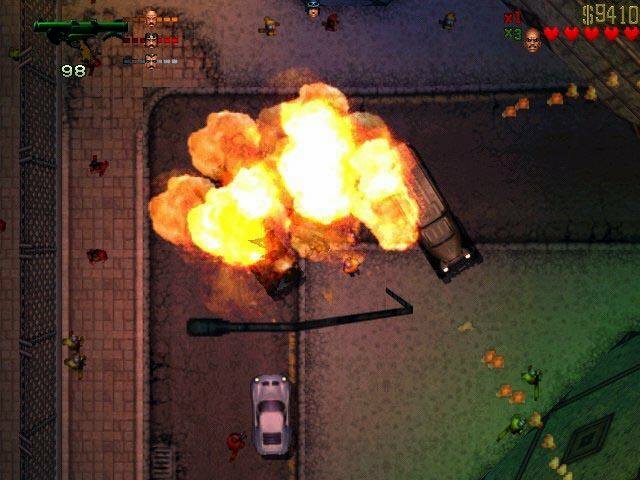 This game has driving, running and gunning, great graphics, sound, and really suits the word gangster. Just playing for 10 minutes I found that you get really addicted fast! I got some of my friends to try this game and now they are treating me like a king all because I was smart and downloaded this game like the first week it was out for free. I am not saying that this will happen to you but, it is worth a try. :) Anyways, if you need some insane high action, this game is like gold. Download it NOW! You will not feel sorry. GTA2 is simply a must have game for many reasons. 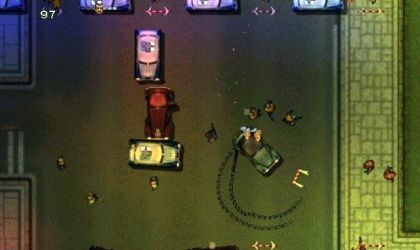 Firstly, the game play is great, it's simple enough that anyone can paly it, and it involves skills that you build as you go (running from cops, and military). You'd be a fool not to download this game. GET IT NOW! Grand Theft Auto 2 is sick. Even though in GTA 3, GTA Vice City, and San Andreas it's frist person view, GTA 2 is the exact same thing. Like shooting with guns, jacking cars and much more. 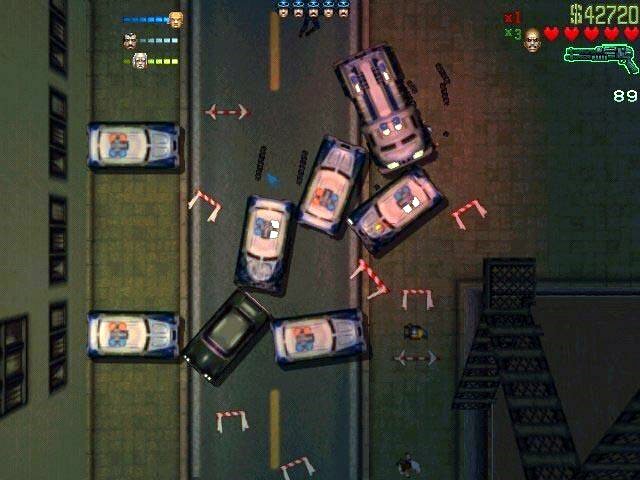 The best part about gta 2 is shooting the police! It is good but it has too much violence in it. I don't want to get hooked on a bad game and try to do it in the streets. I think you should take some violence out of it and then it would be a good game for kids and parents would buy it. I don't like the over head view. Being able to view it from the side would have been much better, also it has poor controls. It is hard to steer anything.